A WICCAN’S BOOK OF SHADOWS! A must-have spell book for every Wiccan! This book contains step by step methods and techniques to teach the beginner how to perform Wiccan spells and rituals like a pro in simple non-complex terms. Wicca: A peaceful and spiritual practice! Develop a better understanding of nature and earth and reconnect with all living things. Create spells for harmony, healing, love, clarity, wisdom and creativity. Join a Wiccan community! Learn what you need to get started. Harness natural energy to influence change. Learn the many beliefs in the Wiccan religion. Create spells and perform rituals by using the techniques in this book. The Book of Shadows will teach you how to create spells and what you will need. This amazing book will also detail rituals for the everyday Wiccan. A quick preview of the spells included are….. 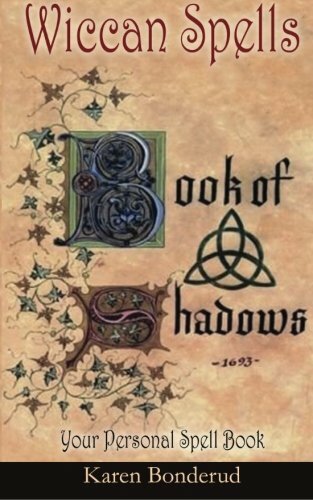 The Book of Shadows is much more than just a spellbook, this book will teach, educate, and inform you all about Wicca! Learn to evoke the gods and goddess of Wicca! Learn all about herbal remedies used today by experienced Wiccans!